Channel 4, Cancer Research U.K., Adam Foulkes, and Alan Smith teamed up to create a one-of-a-kind two-minute animated film promoting an upcoming fund-raising this October. 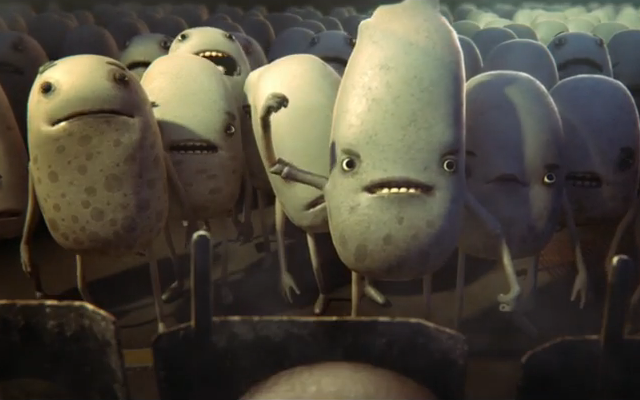 Called It's Payback Time, the short film shows a world populated by strange-looking creatures. An epidemic of sort spreads throughout the land, cutting down the strange creatures in quick fashion. Why are these creatures going down? What's happening to them? What's the blue matter that seems to be dissolving the creatures? You'll have to watch the animated short below to find out. The fund-raising will be held next month on October 7. For more information about Cancer Research U.K., visit their website here. As for Channel 4, check out their website here. If you want to see more works by the duo who directed the animated film, their portfolio can be found here. Cancer is an illness that causes hundreds of thousands of death every year. Unfortunately, it still remains as one of the most difficult to cure. There have been leaps and bounds in the search for the best cures but they still have a long way to go before cancer can be easily treated. This is why it's important that if you have the means to donate to causes like Cancer Research UK, please do it.